The teenager who cracked an egg on Senator Fraser Anning’s head has spoken out about the incident, warning others not to do the same. Following the terror attack at two mosques in Christchurch on March 15 which left 50 people dead, the Australian senator blamed immigration and the increasing presence of Muslims in the country. 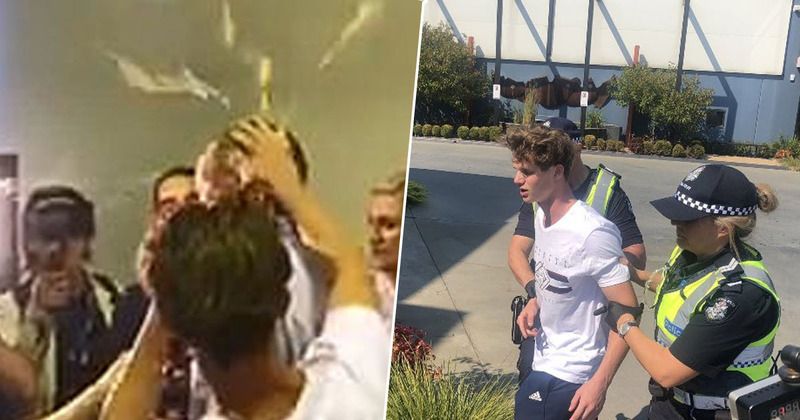 His comments were rightfully criticised by many, and 17-year-old Will Connolly from Victoria, Australia, decided to take action, smashing an egg on the back of Anning’s head yesterday (March 16), at a Conservative National Party Meeting in Melbourne. As reported by ABC, Connolly, now known on social media as ‘Egg Boy’, was taken away by police, but has since been released pending further inquiries. Yesterday Connolly shared a video on his social media, delivering a warning to his growing fan base. Although his Twitter account has now been suspended, the video has been circulated on the platform by others. Don’t egg a politician, you’ll get tackled by 30 bogans at the same time, I learnt the hard way. Despite the message, Connolly can be seen laughing, and zooming in and out on his face playfully. After egging Anning, the senator took a swipe at Connolly, who is then tackled to the ground by other attendees at the event. All of this can be seen in the live stream, and Adam Houda, a high profile criminal lawyer, has called on the police to arrest Anning for his actions. On Twitter, Houda explained Anning throwing a punch at Connolly is a clear case of assault on a child. YOU ARE OBLIGATED TO CHARGE Fraser Anning with assault. The video evidence is clear. Anning has NO defence. I’ll be monitoring the situation carefully. A person carries out conduct in self-defence IF AND ONLY IF the person believes the conduct is NECESSARY to defend himself or herself or another person… and the conduct is a REASONABLE response in the circumstances as he or she perceives them. YOU ARE OBLIGATED TO CHARGE #FraserAnning with assault. The video evidence is clear. Anning has NO defence. I'll be monitoring the situation carefully. A GoFundMe page has also been set up following the incident, which will collect donations to cover the teenager’s legal fees… and to buy ‘more eggs’, of course! Egg Boy, you will always be a hero!